First, copy the calendar embed code provided by UpTo. Once you have copied your code, navigate to the page(s) of your Squarespace website that you wish to include a calendar of upcoming events on. Once you are on the desired page, click edit, and add a content block where you would like the calendar to appear on the page. When prompted to select the type of content block, select “Code”. Next, paste the UpTo code into the content block. Your beautiful calendar will now appear on your Squarespace website. Gone are the days of static website calendars that collect dust and can’t be updated. Once your UpTo calendar script has been generated, the addition of a beautiful website calendar is only a few clicks away. 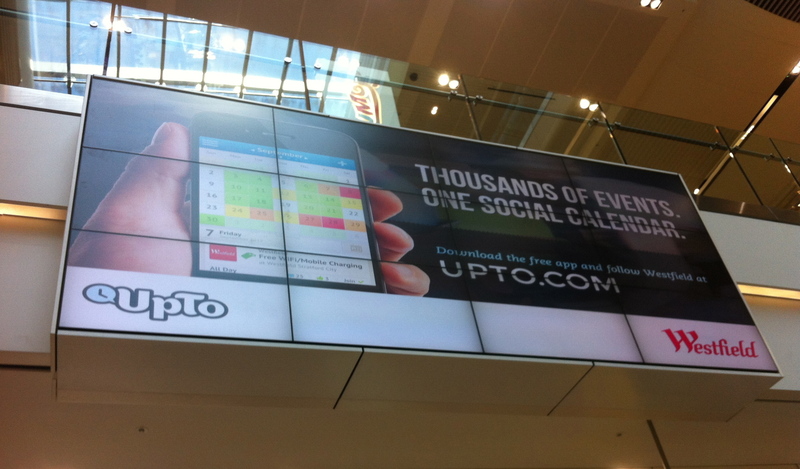 We want to turn your every day calendar into an easy-to-use, engaging experience for your users. Not only can people view your events online, but they can also share them with friends or save them to their personal calendar. We know events change and it’s important to let everyone know. Once your UpTo code has been generated and your website calendar is up and running, everything will sync immediately so their is no confusion for you and your users. This means everyone is instantly informed about additions or changes to your schedule. No other platform gives you the ability to effortlessly bring your website calendar to life. Our website calendar platform generates a snippet of code you can embed, which ultimately eliminates several complicated steps businesses and organizations typically face. Now you have the opportunity to keep your users informed without an IT department or programming professional. Whether you are sharing events, promotions, weekly specials, or limited time services, UpTo gives you maximum flexibility. We want to make things easy for you. And we want to make things easy for your users. Swipe to the left. Take it back now, ya'll. 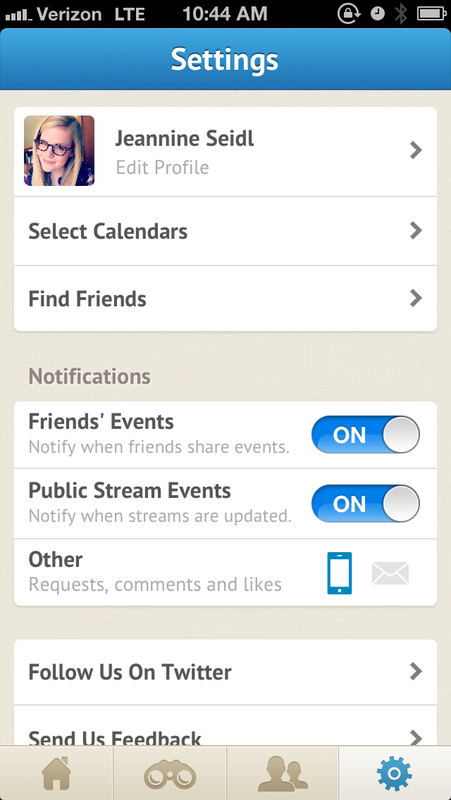 If you can Cha Cha Slide, then you can add an event from a calendar you follow or from a friend who has shared an event with you to your own calendar. If you can't Cha Cha Slide, you can also do it. Don't worry. All you need to do is simply expand your calendar (either by pinching or by tapping the expand button on your home screen), select an event you'd like to add to your calendar, and swipe on top of that event to the left. Tap "Add" and you're in business. That event will move to your font layer and add to your default calendar. It's that easy! Added an event you didn't want to? 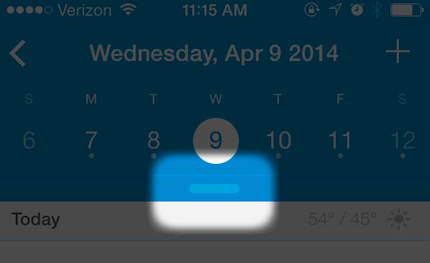 Simply swipe on an added event to send it back to the back layer! “Cutting the cord” has become a buzz phrase these days as more and more people are giving up cable and watching their favorite TV shows online. This is especially relevant when the typical American household pays about $90 a month for cable television service (according to the NPD Group, a market research firm). We’re not quite ready to make that big of a change. We like watching things live and then talking about them around “the water cooler” (check out our TV discovery section here). 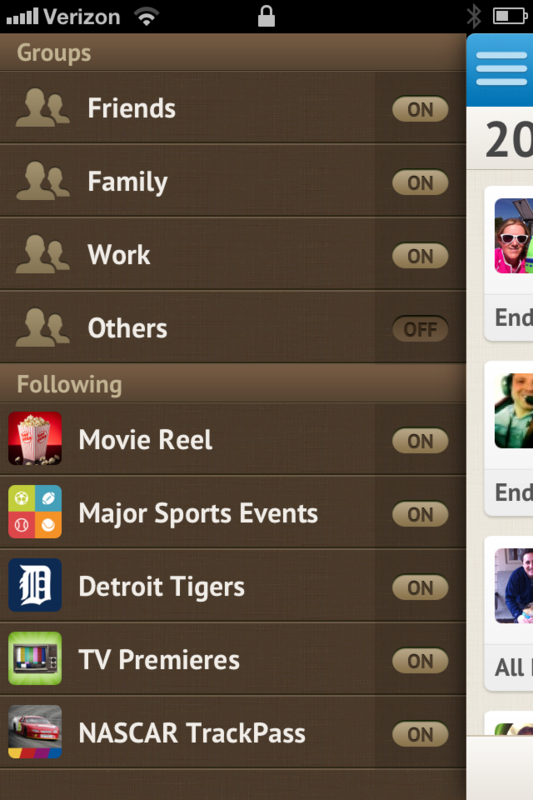 We believe “cutting the cord” describes another activity though: replacing antiquated native apps on your phone. 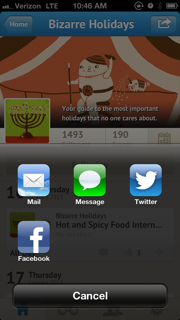 Before you groan and say “Its not easy to find a really good app,” hear us out. Breaking from what you are used to and discovering new things isn’t easy. We all fall into routines. It’s human nature. But there’s a wealth of new apps and tools that can literally make our days easier, more interesting and definitely more beautiful -- Mailbox for email and Waze for maps are two examples. And then there is the new UpTo. 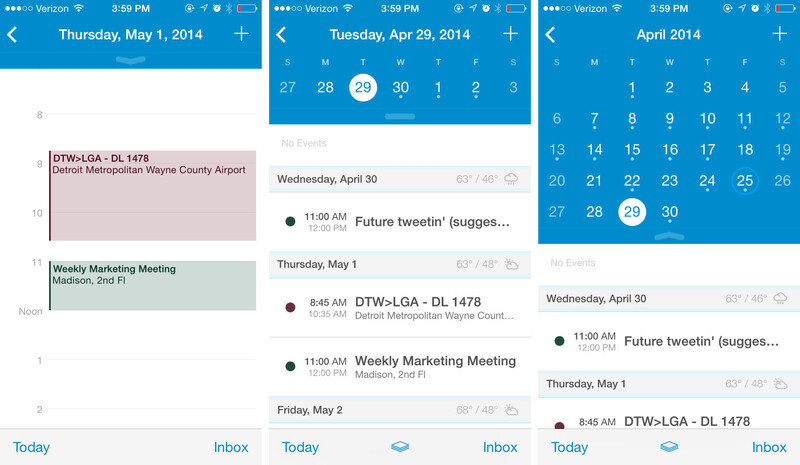 We believe it will seamlessly replace whatever calendar app you are currently using. 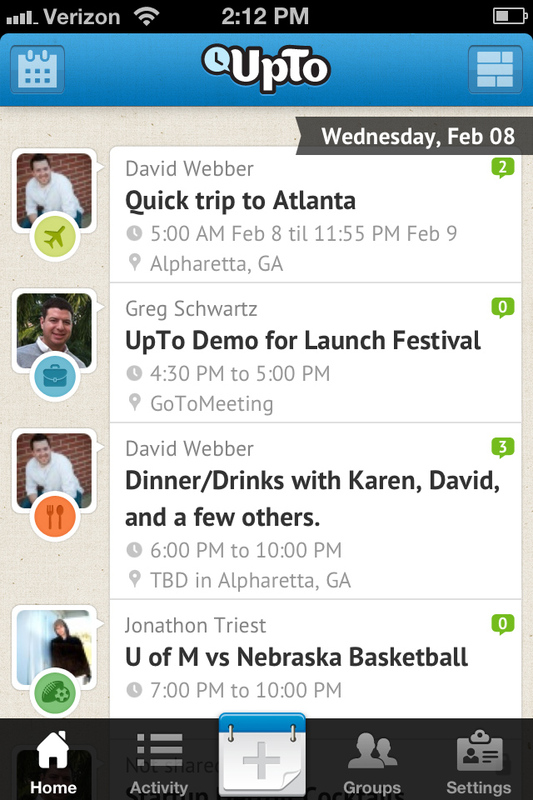 Here’s why: your native calendar app was meant as a tool for managing meetings and appointments. That’s great Monday through Friday from 9am-5pm, and we’re not about to change that, but what about the rest of your life? How does your calendar help you plan everything else coming up? We believe that life goes beyond meetings and appointments and that giving you a more complete view of everything coming up that matters to you - well, matters. So we’ve created a calendar that not only lets you see everything without the clutter, but actually helps you plan accordingly. From public calendars that let you know about your favorite upcoming events to multiple layers so you can look at things the way they are meant to be looked at. 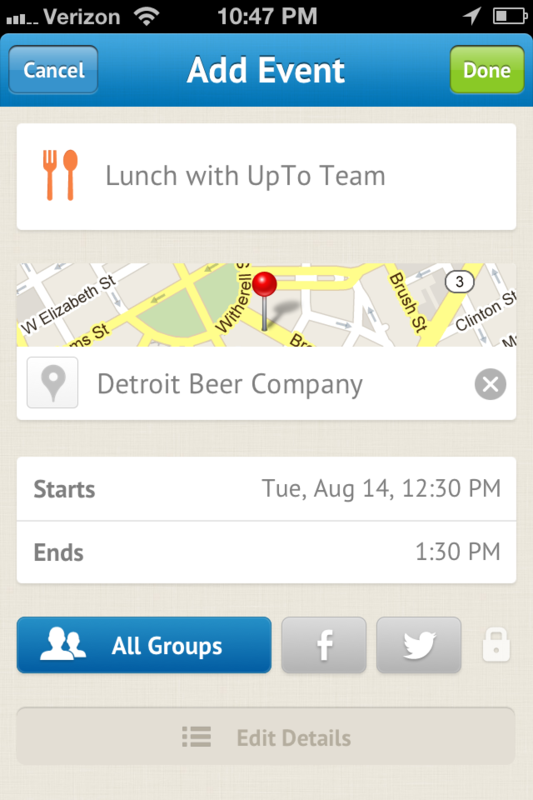 And yes, it syncs with your existing calendar so you won’t miss those meetings and appointments. Your calendar is filled with obligations – from work meetings and doctor appointments to family functions. 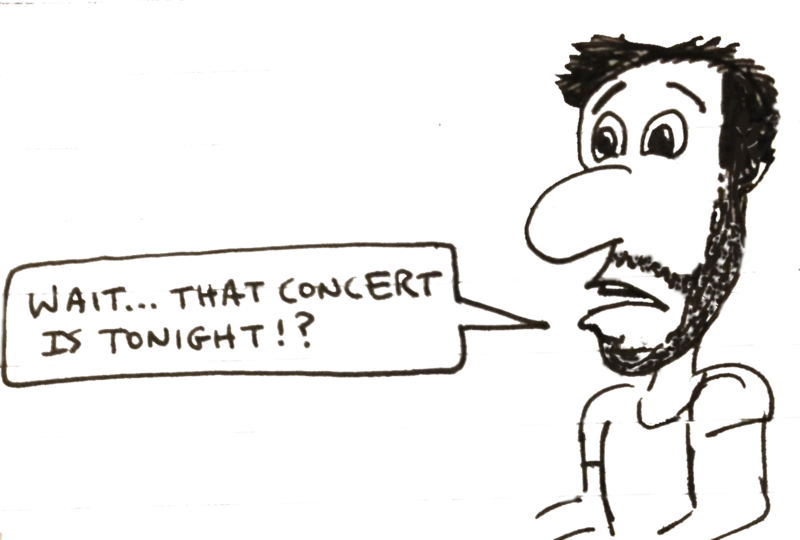 But what about all the other events coming up that you haven’t added to your calendar? That’s a lot of clutter. 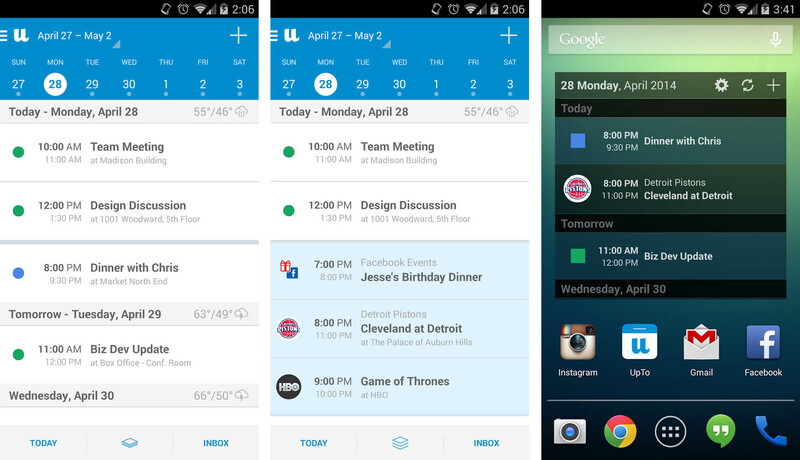 Layers let you prioritize what is important to you without removing things from your calendar. 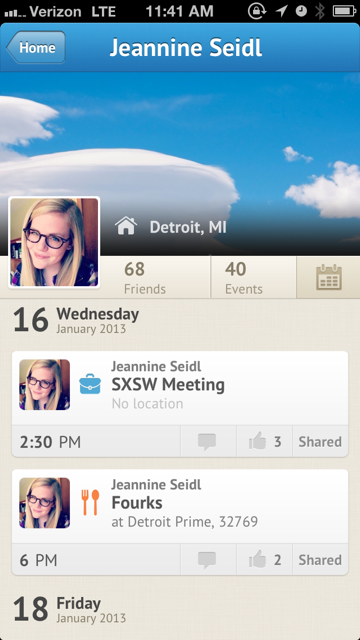 Add meetings, appointments, and your friends’ birthdays to your front layer. 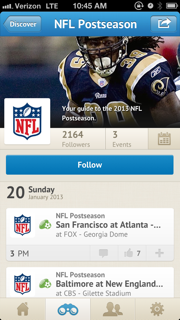 Follow any of UpTo’s public calendars, like your favorite sports teams, TV shows and holidays, and add them to your back layer. The power is yours. 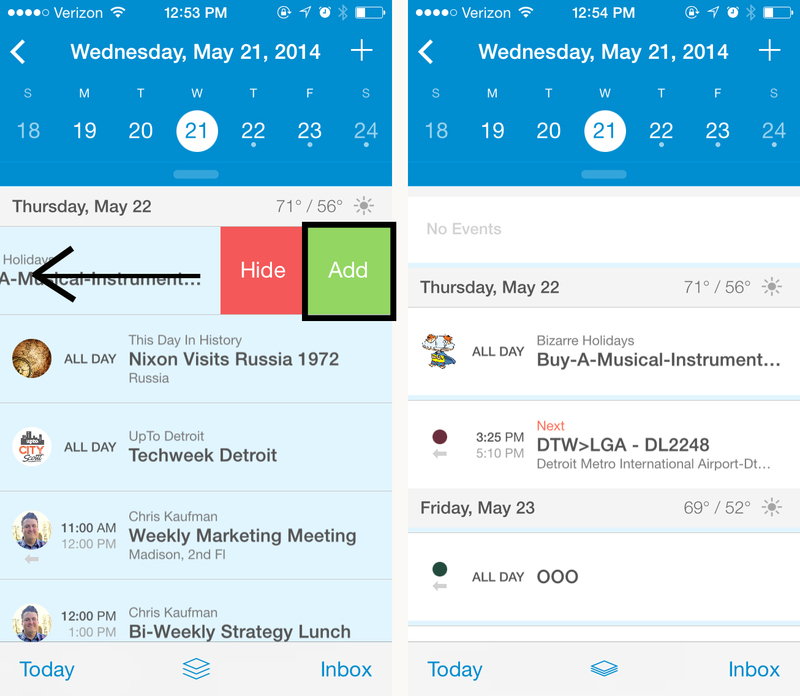 Expand your calendar with just a pinch or tap to reveal your back layer of events. No clutter. No missed events. The all new UpTo is not available just yet. In the meantime, like us on Facebook and follow us on Twitter to stay in the loop with the latest news and release information. 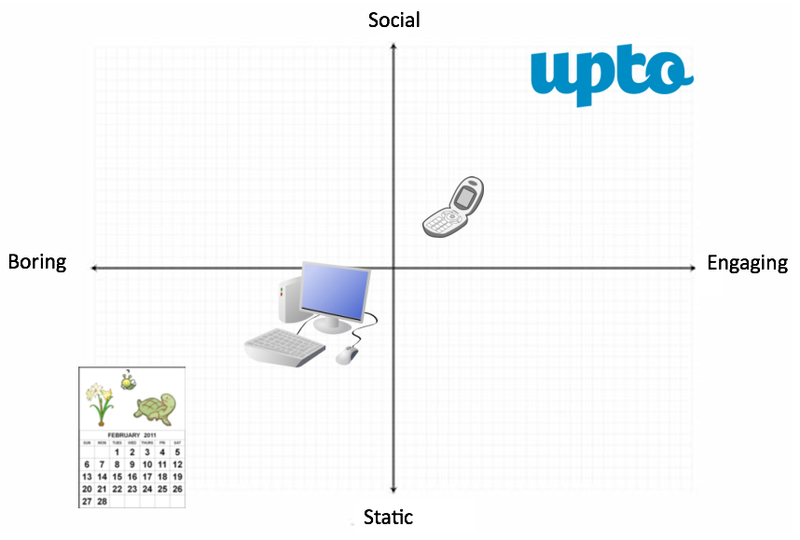 UpTo is home to so many awesome users. One rockstar, Jess Tiede, highlighted her personal UpTo experience with her husband on her blog. We're lucky that Jess has allowed us to repost it right here for you! Last week my mom got a call from old friend who was waiting for her at a restaurant about an hour away. “Are you on your way?” the woman asked. My mom replied, “On my way where?” And then came the overwhelming feeling of dread and embarrassment when my mom realized that she had missed a lunch date. She could have sworn that lunch was scheduled for the following week. While I would never miss a lunch date with one of my besties, I have been known to miss a few dental exams, yoga classes, and gynecology appointments. Or wait, maybe I just deleted those from my calendar…I’ll never tell. But just recently, one of a million Facebook ads caught my eye and I thought this could be the answer to my organizational chaos — a mobile calendaring app that syncs with calendars of your family and friends. 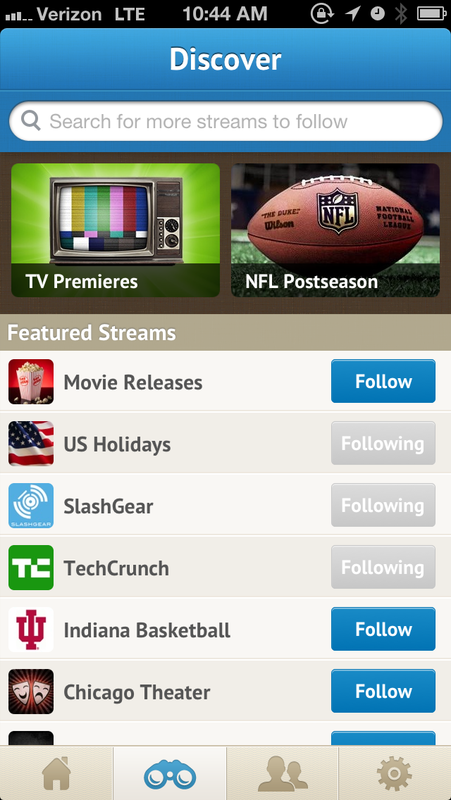 I was skeptical at first, but what’s to lose with a free app, right? 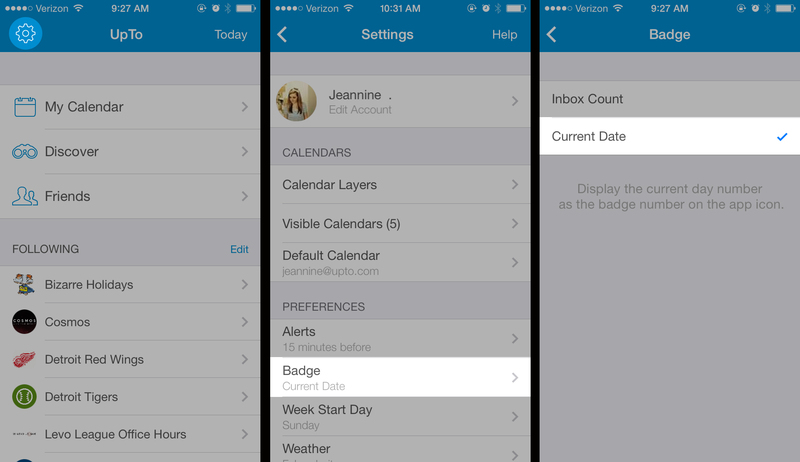 Search > UpTo – Modern Calendar > Install > Apple ID > Wait for the Magic! It didn’t take long and I was customizing my profile picture and my cover photo within the app. I mean really, there are certain social priorities when joining a new community and it all starts with the profile picture. Next, I started entering a few fun events into the calendar…Rhythm on the River, Castle Rock Year-End Party, and a Labor Day cookout with friends. Then I got down to some serious business…4K Registration, 2nd Grade Registration, School Open Houses, first day of classes, parent/teacher conferences, soccer practices, soccer games. It’s mid-August and we all know that things are about to get CRAZY — the timing for this miracle find could not be better! The next step in this journey toward freedom from paper calendars was to get my husband on board, so we could sync our calendars. While he was more excited about adding the Green Bay Packers, Wisconsin Badgers and UFC schedules into his personal version of the calendar, he did finally accept my friend request so we could share mutual appointments. Goodbye miscommunication! Adios post-it notes on the fridge! Au Revoir too-late text messages! Arrivederci Ginkgo Biloba! I have arrived…and this time, I won’t be late! UpTo CEO Greg Schwartz joins some of the most influential minds in Michigan social media, discussing best practices & innovation in the space! The hangout is running on Friday, 6/28 from 12:30pm-1:30pm. Click here to watch the hangout! When my partners and I decided to build a better calendar two years ago by founding UpTo, we thought reinventing something that was relatively unchanged for 500 years was going to be the hard part. The idea is half the battle, right? I don’t know who said that, but I do know they were wrong. When we went through a nearly six-month-long process raising our seed round of venture capital, we thought that was the hard part. Wrong again. Read the entire blog post on Shutterstock. For the four of us, it started with a simple question… Why is it that we can see our friends’ histories on Facebook, and a real-time view of the world’s chatter on Twitter, but we can’t see what the people we care about the most will be up to an hour from now, a day from now or a week from now? Today’s most popular social platforms offer immense social value, but they all have one thing in common - they give users a stream of information that goes backwards in time. Whether it’s a status update on Facebook, a tweet on Twitter or a check-in on Foursquare, by the time we see most of this information being shared, it’s already after-the-fact. When you see that a friend that you’ve wanted to connect with checked-in around the corner three hours ago, what can you do about it? Not a whole lot. But if you see that a friend is going to be around the corner from you tomorrow, it’s a different story. The ‘future-tense’ is actionable.